Scratch marks are the most common defects identified during quality control inspection. Scratch marks are marks or lines on the surface of products that are caused by rubbing or cutting the surface of a product. In cases, the scratches are obvious, but sometimes they are inherently discrete. Quality control departments are tasked with classifying the different scratches to mark the difference between minor and major scratches. One may wonder what causes the scratches or how they can be classified. During the assembly process, most products are manufactured in stages. After the first stage, most products are stored before being manufactured further. If the storage is done haphazardly, the products are damaged. Scratches are particularly common when multiple products are stacked or packed together while awaiting further manufacturing. Numerous electronic products are created using product molds. When these molds are damaged, they transfer the defects to the completed product. Any lines in the mold will appear as scratches on the final product. Most product defects occur during packing and assembly. Quality control departments are mandated to inspect the processes to ensure there are no defective products shipped to consumers or distributors. When the quality control does not conform to industry standards, defective products can pass through the defect sorting process. The best way to ensure that scratches are identified is by inspecting both the final product and products in the assembly process. Inspecting the assembly process can identify defects before the product reaches the final stage while inspecting the final product ensures that packaging defects are identified beforehand. Whenever a buyer notices that a product has some defects, they need to return it with clear instructions on the type of problem. The buyer should be able to explain the location and dimensions of the scratch marks to avoid any misunderstandings with the warranty inspector. A scratch is classified as minor defects when the scratches are between 5 and 10 mm at the rear, side or front of the device. The scratches should be visibly detectable at arm’s distance from the quality control inspector. A scratch is considered as a major defect when the scratch is more than 10mm in dimension on either the side or the front of the device. On the contrary, scratches at the rear are not considered major defects. 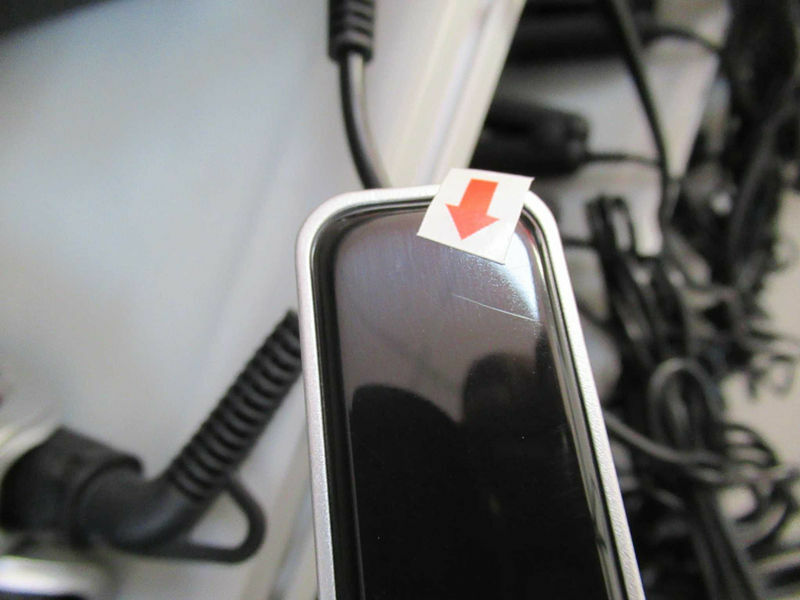 Additionally, the scratch should be visible at arm’s length for the quality control inspector to consider them. These refer to scratches that are considered unsafe or hazardous to the consumer. An example is a deep scratch to the power supply or the power cord of any electronic product. Unfortunately, few quality control inspectors are willing to place such a classification on products. The main threshold that quality control inspectors use in determining the legitimacy of a scratch is where it is visible at arm’s length. Scratches that are less than 5mm and those that cannot be seen at arm’s length are not considered as defects. How can the buyer ensure that the product is given the right classification? Most quality control inspectors are quick to downplay the scratch marks based on the scale given. One might wonder how buyers can ensure that the defects are given the right classification. a. Make sure to mention the location of the scratches when returning the products. This makes it easier to pinpoint instead or simply assuming that the inspection will reveal the defect. b. Ensure you self-clarify the type of defect the scratch is. Quality control inspectors tend to downplay the extent of the defect. The customer’s perception is always put into consideration when handling defects in products. When proper quality control is utilized, the number of defects that reach the customer reduce considerably. Additionally, the quality of the products improves. The following are easy ways to avoid scratch marks in products. If the mold has a defect, it is likely to taint all the products produced after the damage. The best solution is fixing any indentations that may cause scratch marks. A review of the mold before any batch of products is manufactured can reduce errors. The improper storage of products causes many defects. Ensure that the products do not rub against each other or any other surfaces to avoid scratch marks, especially when in the intermediate stage of two manufacturing processes. Most quality control inspectors fail to perform a proper inspection of the final product or when packaging the products. Companies should make the quality control of these segments more stringent to ensure that fewer defective products reach the final consumer. DMAIC and six sigma are effective ways of developing self-sustaining quality control processes. The two processes have been documented to reduce the frequency of errors. , such as scratch marks, is becoming more important. A better understanding of how to tell the difference between minor and major scratch marks can help in identifying the cause of the defects.